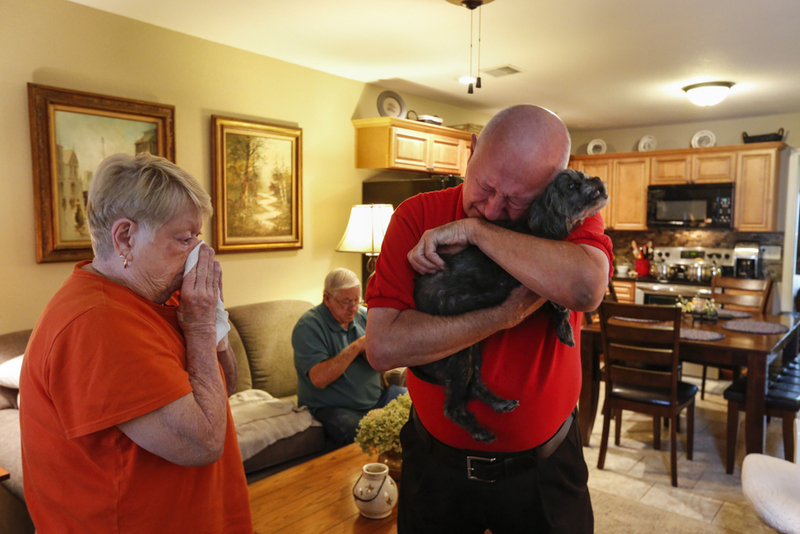 Nedra and Kent Reik say their last goodbyes to their 13 year old dog Mollie. Mollie has been left very week from old age and a respiratory disorder. The Reik’s have decided to end her suffering. A moment later Mollie was handed to Dr. Johnson for euthanasia.